Block 1. Investigation labs. Technologists’ and researchers’ offices. Extra spaces. Block 2. Pilot Plant of Fruit Conservation New Technologies. Pilot Plant of Cold Engineering. Block 3. Pilot Plant for the classification, confection and packaging of fruit. Pilot Plant for the development of minimally processed fruit (4th range). Pilot Plant of 5th range fruit. Pilot Plant for microorganisms domestication (Biocontrol Agents). 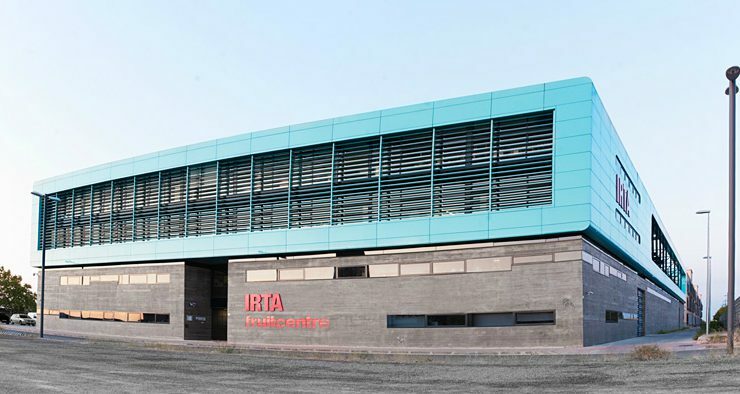 The building of FRUITCENTRE at the Parc Científic i Tecnològic Agroalimentari de Lleida (PCiTAL) has been fianced by MICINN and 50% co-financed by the European Fund for Regional Development (FEDER).